In a city like no other, in a neighborhood like no other, a new address combines the best of the old and the new for just seven fortunate residents. The Garage On Hyde is an opportunity for true city lovers to enjoy the best of everything in a dynamic and unique space located in an exciting and historic place. All of the units sold in the Fall of 2013. Each residence has a distinct feeling in terms of size, outlook, spatial volumes and amenities. There are no 'cookie cutter' or 'stacked' units. Units 2, 4 and 7 are customizable shell units and the other units are fully finished. 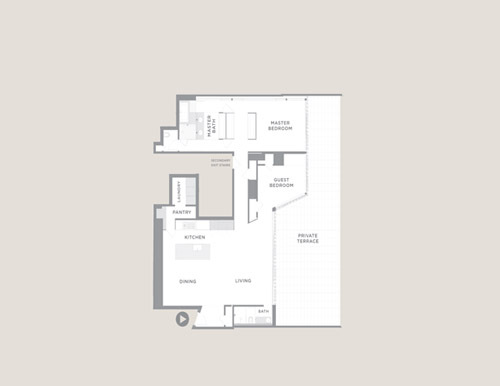 All homes are two bedroom or two bedrooms 'plus’ with either two or two and one half baths. 17 parking spaces are available for sale to residential unit purchasers. Some restrictions apply. See Sales Team and Disclosures for details. 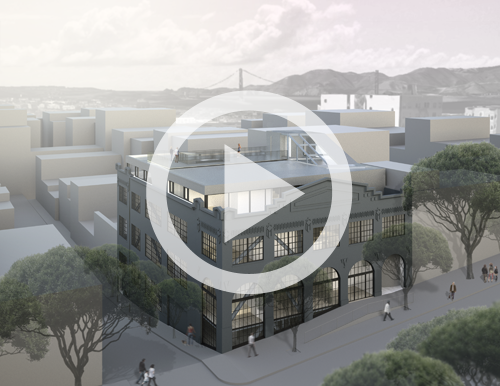 Meet the design team behind San Francisco's newest luxury residence. Listen to the architects and developer talk about the building, the space, the history and the place.